Jeevy Computers is a full-service computer technology company located in Watchung, New Jersey. 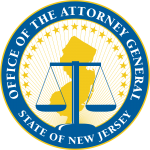 Jeevy has established itself as a trusted and skilled resource poised to meet the technology needs of small to medium-sized businesses, as well as home and office users throughout New Jersey. Vision, creativity, and innovation are what drive the Jeevy team to success. These ideas are key in keeping the company squarely ahead of its competition. Not only does Jeevy deliver excellent on-site and remote computer services through responsive support, we also take pride in supplying clients with valuable industry knowledge to help position them for the future. A prime example being the company’s unique cyber security program through a key partnership with F-Secure, a leading global cyber security company. Jeevy’s Basic and Premier Cyber Security packages offer clients an opportunity to obtain enterprise-grade security solutions at cost-effective price points. Each of these packages is backed by a 30-day free trial / 30-day money back guarantee. We have been in business for over 26 years. We are knowledgeable in a wide range of technologies and pride ourselves on staying educated with all the latest technological advancements. Our experienced technicians can help you or your business with technology needs no matter how big or small. We promise our customers quality products and services at the best prices. It is our responsibility to select a product or service plan that meets our customers’ specific needs. We pride ourselves on never over charging or selling our customers products they don’t need. We put customer satisfaction above all else. Our employees are the key to our success. We provide all of our employees with excellent benefits. The same 401K, Health, Dental, and Vision Insurance available to our President and CEO are also available to ALL of our employees. We provide long-lasting careers, not just jobs. We enable our employees to partake in the success of our business by profit sharing. Jeevy Computers is a part of the community. We give back to our community by applying our skills and resources beyond daily business operations. Each fall we organize and host a free family friendly fair to bring together the community and promote local businesses. We deliver a better experience with technology for your home, office and business by providing honest, prompt and friendly service. We strive to bring consistent, knowledgeable service to each and every customer, each and every time! 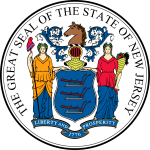 Approved Small Business Enterprise, State of New Jersey. 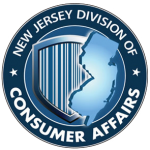 Licensed by the Division of Consumer Affairs, State of New Jersey. We provide friendly, honest, and expert advice for any home technology, at any time. We specialize in providing custom solutions that properly match the size and requirements of your office. We provide customized solutions to meet the needs of your business and maximize productivity.